Pompeo scandalous statements in Warsaw! - Stalinist executioner of the Poles! "His life was a testimony to the steadfastness of the Polish spirit ..." - this is how the US Secretary of State praised the Stalinist henchman of Jewish origin Frank Blaichman, who openy bragged about murdering Polish people. 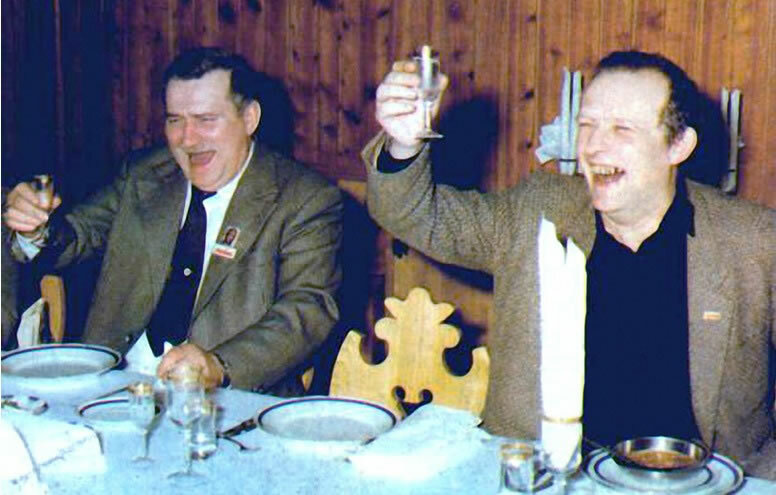 Pompeo was talking about a Jewish partisan who became a Stalinist criminal accusing the Home Army of "anti-Semitism"! Is this just the evidence of historical ignorance, simple mistake of American politics, or intentional humiliation of the Polish post-communist resistance movement and the entire Polish nation represented by the heroic Home Army that defended the Polish Homeland? It is worth asking whether it is just another ruthless reference to the UN-JUST Act S. 447? “The United States will never forget the unwavering Polish spirit,” tried to flatter the Poles the American politician. 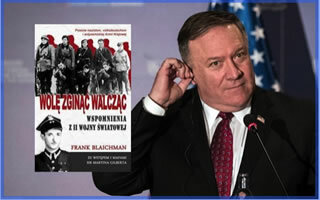 By recalling a recently deceased in the United States Frank Blaichman, Mike Pompeo brought to the conversation the very divisive figure and the dark times of Judo-Communist cooperation in exterminating the Polish patriotic resistance during and after WWII. He proudly continued with this unfitting story: “After the war, he became a US citizen. He worked very well as a developer in New York (...) He was the embodiment of what President Trump talked about during his visit to Poland in 2017. Poland is alive, Poland is developing, Poland is winning,” Pompeo concluded. However, these words can mean either ignorance or arrogance of American politics. 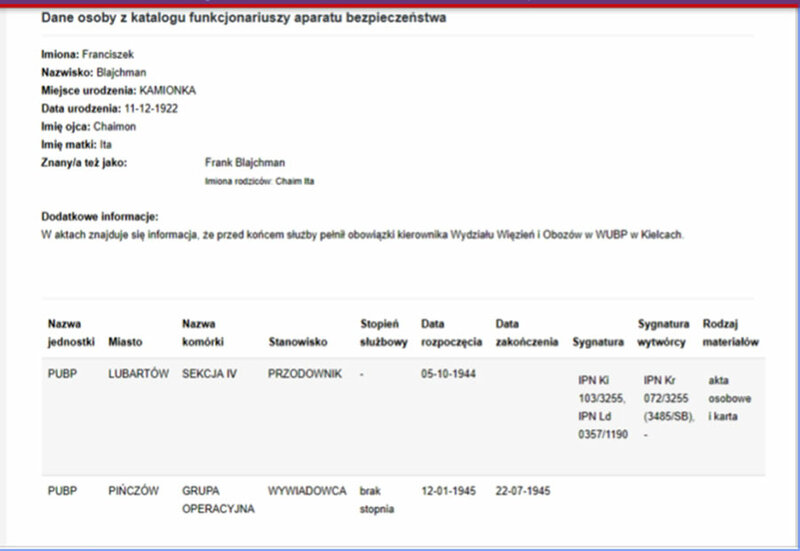 Frank Blaichman was ... a Stalinist executioner of the Polish patriots! According to his own diary, a detachment under his command murdered two young soldiers of the Home Army. After the war, he started working in the Security Office, holding a post of a director in the prison department of the Kielce Security Bureau “UB.” He emigrated to the United States in 1951. The memoire of the Stalinist criminal - elevated by the Secretary of State of the United States to the rank of a symbol of the steadfastness of the Polish spirit - promotes on its cover the most offensive slogan to the Polish people: "Against the Nazis, Volksdeutsche and the anti-Semitic Home Army." This slogan turns the Polish victims of Nazi Germany genocide into agressors and oppressors. It is hard to think of a more offenisve statement against the Polish victims of Nazi Germany genocide. A statement of that gravity is not a diplomatic mistake. This is an outright provocation of the worst possible sort that causes great pain and suffering to millions of Polish people aroudn the world.